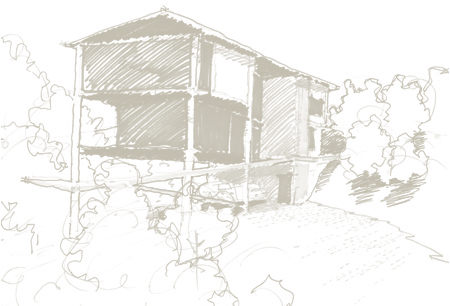 Welcome to Duffy and Bradburn General Contracting (“DBGC”), your source for quality, handcrafted construction. We welcome the opportunity to work with you to help make your dream project a reality. The dream that became DBGC began over twenty years ago when two young men started their contracting careers on jobsites in North Central Washington. Owners Jake Duffy and Travis Bradburn were both raised by fathers who were contractors and, because of that, both Jake and Travis worked on jobsites as early as State rules would allow. This early start in construction conditioned them for rapid advancement through the ranks as carpenters and eventually tradesmen. Jake and Travis remained close friends and continued to work together on a wide variety of projects in a wide variety of locations, such as Central and Western Washington, Jackson Hole Wyoming, and St. John U.S. Virgin Islands. Today Jake and Travis both have young families and, so, prefer staying close to home for work. 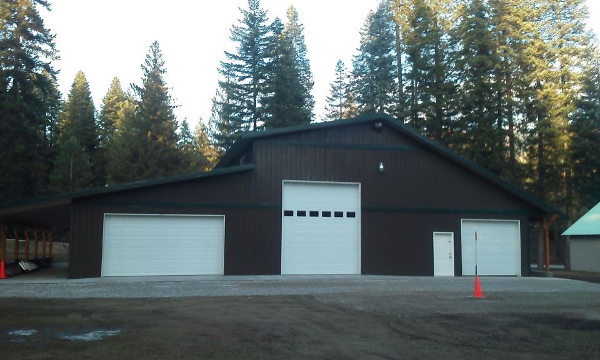 DBGC, however, continues to provide "quality first" construction throughout Washington, including King, Snohomish, Chelan, and Kittitas Counties. Our diverse backgrounds and wide-ranging knowledge of all facets of construction and all trades allow us to be more effective than many of our competitors. Today it is very common for a contractor to be proficient in only a single aspect of construction or in only one type of construction. We do not agree with this philosophy. 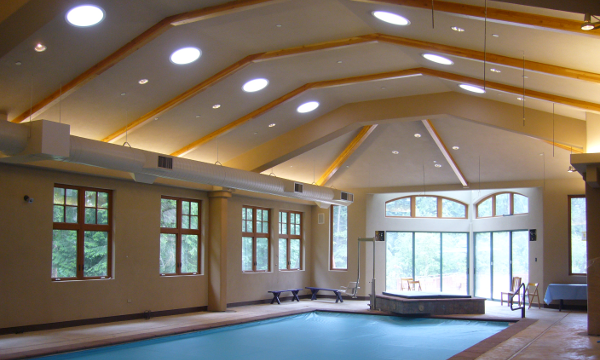 At DBGC we have vast experience with contemporary home construction, additions and remodels, log homes, timber frame homes, and Hybrid log/timber frame homes. 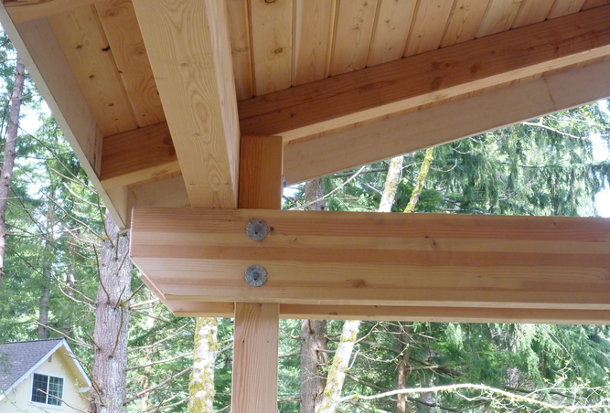 DBGC also has considerable experience in quality built decks, arbors, trellises, siding, finish carpentry, and many other types of construction. 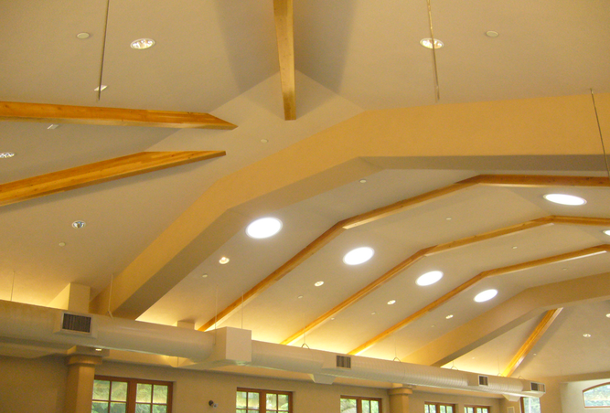 DBGC is proud to say that there is very little built today with wood, steel, masonry, or composites that we do not have hands-on experience with. We also welcome a challenge: building a new design or with a product that is new on the market.If we don’t have the skill set to do it ourselves we will surely have a qualified legal subcontractor who does. With DBGC you get hands-on, owner-management for your project. 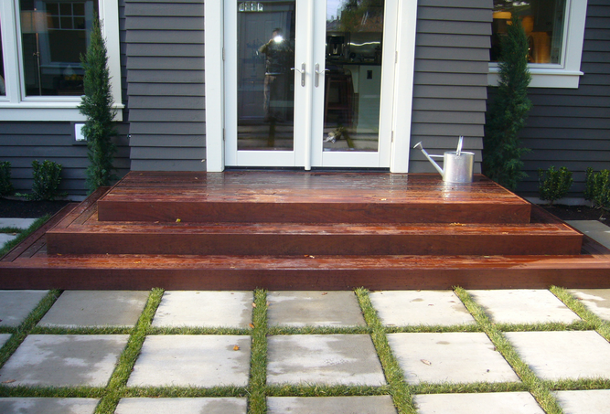 This means that on any project, whether it is a small deck repair or construction of a large new custom home, you the customer will deal directly with one of the DBGC’s owners. This eliminates the confusion and miscommunication that often occurs when the customer is insulated from a direct interface with contractor ownership. In the long run this saves the costumer many avoidable headaches and, even more importantly, both time and money. 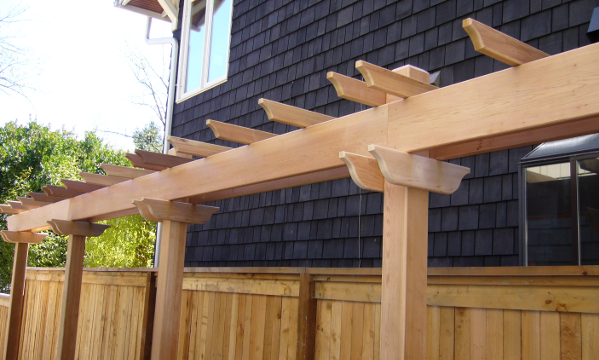 This project transformed a seasonal deck into a beautiful outdoor living and entertainment space. 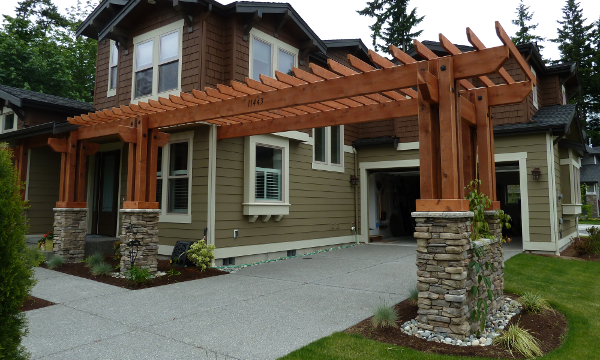 D&B's custom timber craftsmanship tied the modern neighborhood to the rustic Northwest surroundings. 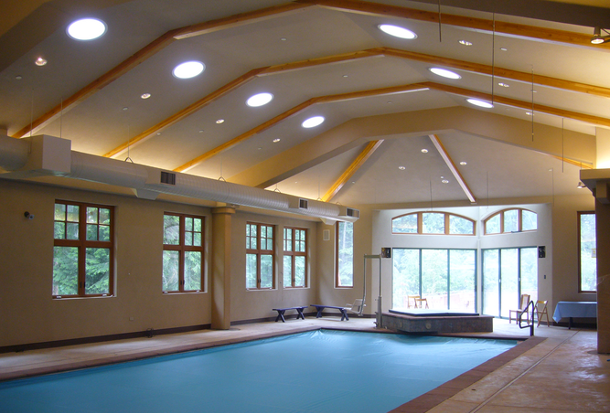 This custom pool house illustrates D&B's commitment to quality timber framing and construction. The attention to detail sets D&B's work apart from the norm. 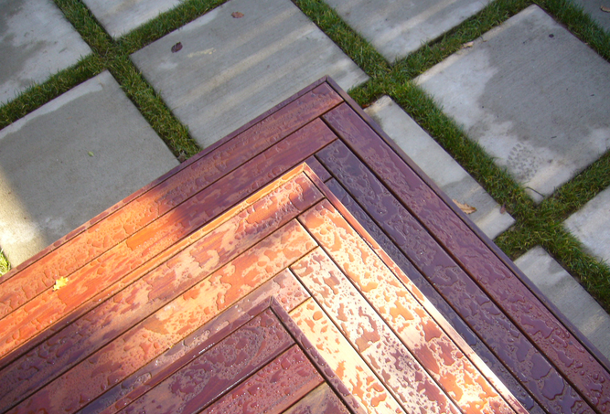 Outdoor surfaces our D&B's specialty. 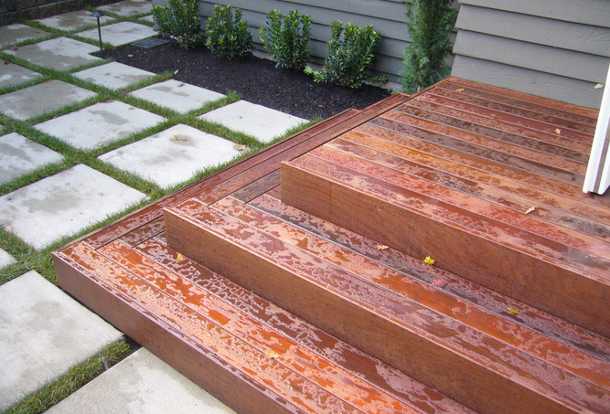 Whether custom decking and railings, or stonework, our experience in realizing our customers visions will bring your project to life. D&B specializes in design and install of custom aluminum and glass railings and partitions. These accents provide low maintenance and long lasting elegance. 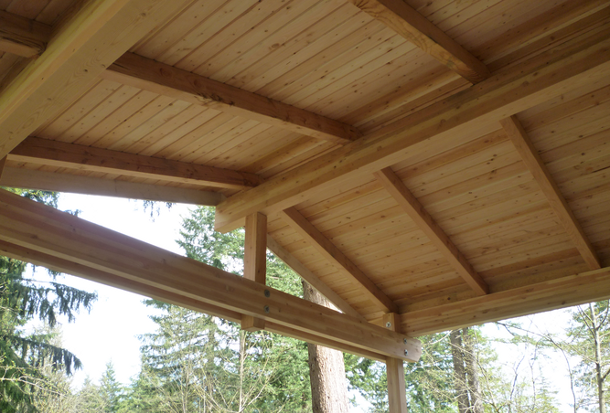 D&B has completed several successfull log home projects in Leavenworth and Lake Wenatchee areas. 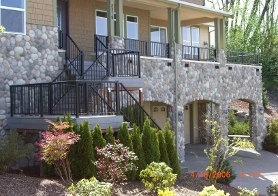 Recommendations and project viewing is vailable on request in the Central Washington area. Hand designed, cut and assembled, custom trellaces set our customers outdoor areas apart from your typical mass produced kits. 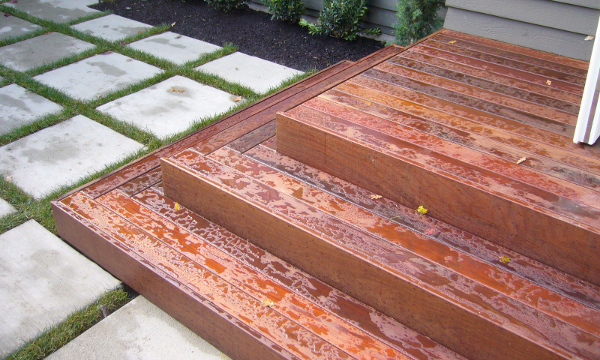 D&B uses classic cedar timbers to construct its trellaces resulting in long lasting, rot resistant, classical looks.